With the festive season about to knock on your door, it’s time for new surprises, gifts and well-wishes. 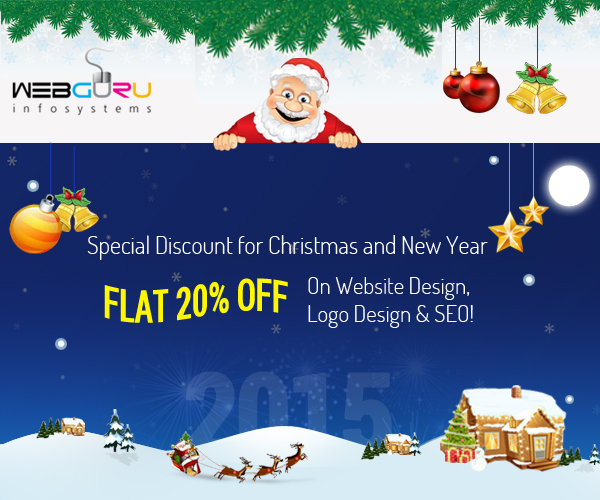 On the occasion of Christmas and New Year, WebGuru Infosystems brings to you a special gift to add to your festive mood. We are offering a flat 20% discount on a wide range of web services. So, what are you waiting for, simply visit at //www.webguru-india.com/special-offers/christmas-newyear-offer-web-services.php to grab these exciting offers valid till 5th January, 2015.